This book is about far right politics in the United States. It is an effort to understand movements such as the alt-right: what they want, what they do, who they appeal to, and how they interact with other political forces. It is also an effort to place these movements in historical context, to analyze how and why they have developed over the past half-century, and how current circumstances affect their strengths and limitations. Before 2015 or 2016, most mainstream reporters and political pundits had never heard of the alt-right, and they scrambled to figure out what the movement was and what it stood for. Because alt-rightists didn’t look or act like stereotypical Neo-Nazis, people accused them of trying to hide their white supremacist politics behind a “benign” label, even though in fact many of them went out of their way to sound as offensive and bigoted as possible. Because alt-rightists were explicitly white nationalist, many observers didn’t notice that they also promoted a misogyny so extreme that even many Neo-Nazis criticized it. And because some “anti-globalist” conservatives started using the alt-right label, many critics missed the distinction between fellow travelers and committed adherents — between those Trump supporters who wanted to reclaim control of the American republic for white Christian men and those who hoped for the republic’s collapse. 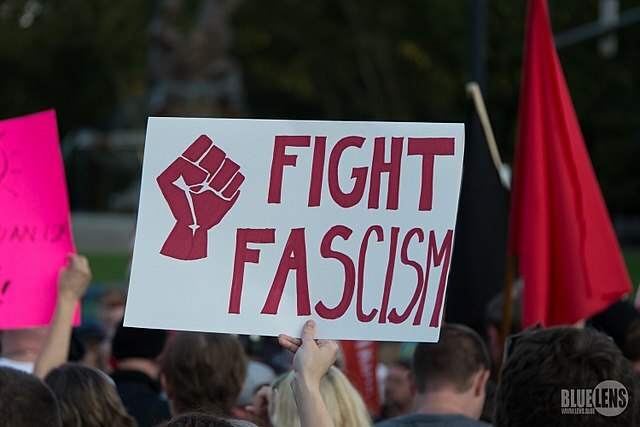 Although media coverage of the alt-right gradually improved, this initial confusion underscored the need to rethink superficial, overgeneralized, and outmoded conceptions, and to recognize the far right as a dynamic, changing collection of movements. Instead of focusing on a specific doctrine, my approach begins with a specific historical turning point: in the 1970s and 1980s, for the first time since World War II, rightists in significant numbers began to withdraw their loyalty from the US government. This marked a sharp break with the right’s traditional role as defender of the established order, as one of the forces helping economic and political elites to maintain social control. In my view, the resulting division between oppositional and system-loyal rightists is more significant than ideological differences about race, religion, economics, or other factors. The far right presents multiple kinds of threats. In the short term, it’s extremely unlikely that far rightists could seize power and bring about the kind of society they envision. While this cannot be ruled out in the longer term, there are several more immediate reasons to take the far right seriously. First, far rightists carry out harassment and violence against targeted groups, and they encourage other people to do the same. Second, far rightists create more space for system-loyal forces to intensify their own bigotry, scapegoating, and violence, both by offering an example for system-loyal groups to learn from, and also by providing an “extreme” example that helps more “moderate” versions look legitimate by comparison. Third, far rightists can exploit popular grievances to draw support away from left-wing liberatory alternatives. Fourth, far rightists can infect the left itself with their poisonous ideas or recruit leftists to work with them. Photo credit: By Mark Dixon from Pittsburgh, PA (Charlottesville-1520282) [CC BY 2.0], via Wikimedia Commons.